While the HUD office and Vicem buildings have partially taken shape, PVN Tower and television tower have remained on paper for years. Most skyscraper projects were drawn up nearly a decade ago when the real estate market was hot and investors dreamed of the tallest buildings, buildings with the highest numbers of stories, and the best designed buildings. In July 2010, the national oil and gas group PetroVietnam set up a team in charge of developing the PVN Tower project in Hanoi. The investor hoped that PVN Tower would become a symbol of Vietnam’s oil & gas industry. It was also expected to be ‘unique’ with 102 floors and the length of 528 meters. PVC and Ocean Group were chosen to be the contractors for the $1 billion project. The gigantic building was expected to be completed in 2014 and become the pride of Hanoi like the twin towers in Malaysia. PVN Tower only ranked second among the tallest buildings. The first position belonged to the proposed VTV Tower, expected to be 636 meters tall in the West Lake area in Hanoi. However, PVN Tower only ranked second among the tallest buildings. The first position belonged to the proposed VTV Tower, expected to be 636 meters tall in the West Lake area in Hanoi. To implement the tallest building and the tallest television tower in the world, capitalized at $900 million, a joint stock company was established by Vietnam Television (VTV) and its partners – SCIC (the State Capital Investment Corporation) and BRG. The project was scheduled to be under implementation for six years, including the 2-year period of investment preparation, before it would became operational in 2021. However, the two huge projects saw big adjustments. PVN Tower has 44 floors instead of 102, while its investment capital was cut from $1 billion to $600 million and then to $200 million. Mai Linh Investment became the new owner of the project after a municipal authorities’ decision was released in February 2017. 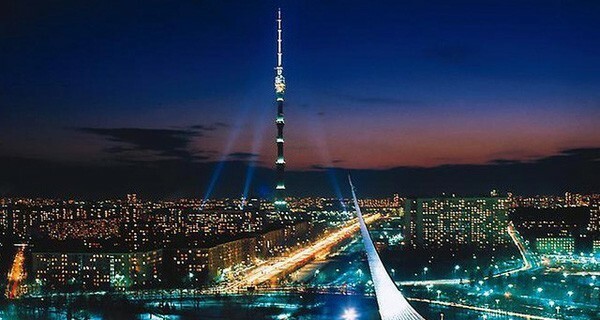 Meanwhile, the television tower project failed, and both VTV and SCIC decided to withdraw capital from the project. A representative of VTV said the national television company needs to gather its strength on developing TV programs. SCIC, as a state-owned corporation, has put VTV Tower on a list of projects it needs to give up. The construction work isn’t included in the list of business fields the State needs to hold a controlling stake or contribute capital. In addition, HCMC People’s Committee decided to cut the number of stories at SJC Tower from 54 to 46. This project is located in an advantageous position in the central district 1. It got an investment license in 2005, but the location remains deserted.